Too many students and families in need lack awareness of financial aid, and of the process to apply for it. As a result, they do not benefit from a key ingredient in college access and success. A perceived lack of adequate funds is one of the most persistent barriers to college entry for students who are low-income and from groups that have had historically low college success rates. Conversely, financial aid application itself is a strong predictor of college enrollment and success. Students who complete financial aid applications are more likely than their peers to persist in college; in some cases they are more likely to graduate as well. As the public conversation on college affordability unfolds, the need to increase rates of bachelor’s degree attainment across all demographic groups becomes better understood as essential to a vibrant future for California. College Futures Foundation is glad to share lessons from our investments made to help expand awareness of and access to financial aid among low-income students. From 2012 to 2014, the Foundation funded 15 school districts, county offices of education, and community-based organizations (CBOs) to improve Free Application for Federal Student Aid (FAFSA) and Cal Grant application rates. What we learned may help K-12 leaders and CBOs see new opportunity for productive partnership and recognize critical factors in preparing the students they serve for higher education. It can also help grantmakers better understand the potential to extend their impact through advancing financial aid literacy and access within schools, districts, and CBOs. Lessons draw on projects across the state, involving 42 districts or county offices of education and 120 school sites in rural and urban locales. Grant strategies featured increasing the capacity of high school counseling and administrative staff, providing financial aid advising and application assistance at high school sites, and implementing companion professional development to help teachers integrate financial aid concepts into relevant classroom instruction. Our analysis is based on data submitted by grantees, Foundation staff observations and reflections, and evaluation of five grantee projects performed by WestEd, an independent educational research agency. Over the two years of grant-supported projects, overall FAFSA and Cal Grant completion rates in grantee districts outpaced state averages. However, in year two of the grant period, some schools saw a decline in FAFSA completion rates. Foundation staff believes implementation and staffing challenges were a factor in the places that declined during the second year. While we are cautious not to draw too many conclusions from two years of data, this work generated worthwhile lessons. Financial aid functions best as an integrated part of a comprehensive college readiness strategy. These wrap-around supports must recognize that students’ informational needs change. Those in the early years of high school need guidance on academic preparation to stay on track for graduation and college readiness; those in their senior year need information and assistance with the college-entry and financial aid application processes. Caregivers must be involved to set up students for success. These adults play an important role by helping students complete applications and reinforcing the value of postsecondary education. Caregivers should be educated regarding the opportunities offered by a postsecondary education, the college preparation process, and the availability of financial aid. Students and families need hands-on assistance beyond awareness of resources and processes. Grantees were more effective when they combined hands-on services as well as background information, resources, and tools—and when information was offered in multiple formats. A college-going culture and climate at district and school levels makes a big difference. In high schools with strong college-going cultures, teachers and administrators consistently convey expectations that all students can go to college. These high schools also have dedicated staff and resources to ensure students are able to plan, prepare, and pay for college. Financial aid awareness and FAFSA completion activities alone do not create this culture. FAFSA can be an important entry point, but unless financial aid awareness is connected to academic and social supports that prioritize college preparation, FAFSA completion will remain disconnected from college aspirations. District and school leaders are vital influencers who shape the strength of partnerships between K-12 and CBOs. Leaders can advocate for or help establish policies and agreements, leverage resources, and integrate grantees into daily operations. In our experience, this backing increased grantees’ range of services and results. CBOs bring college guidance and financial aid expertise, additional manpower, and flexible approaches. K-12 institutions benefit from this influx of knowledge and skill. However, CBOs have limited capacity and can struggle to meet the level of need required by districts and schools. CBOs have the most impact working in school environments that see these local organizations as educational partners. When the messages that these CBO delivered to students were echoed by school faculty and staff, and when institutional expectations underscored the importance of educational, career, and financial planning and advising activities, greater impact was achieved. Financial aid advising gains stronger traction when connected to routine academic activities. One such example is embedding financial aid literacy in economics courses. Grantees saw success providing technical assistance to teachers or counselors; increasing staff knowledge of complex financial aid issues made day-to-day interactions with students on these topics easier. As we reflect on these lessons, we can describe two sets of implications. 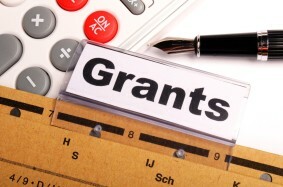 For grantmaking: Broadening the view. Using a broad framework of college readiness and success can best address the college preparation needs of low-income and underrepresented students. Financial aid awareness is one of four factors in meeting these needs—other factors include college aspirations and goals, college knowledge, and academic preparation. There is opportunity to incorporate, connect, and integrate these factors into funder program strategies to increase the likelihood of overall student success. For local practice: Strengthening the approach. Connecting districts, schools, and CBOs with regional postsecondary institutions can improve knowledge flow and coordination between systems. Communities of practice among these parties can allow for shared knowledge, materials, and practices, and keep organizations from having to reinvent the wheel. Participating in a community of practice also helps CBOs frame their missions and services in a way that establishes their organizations as supportive, integrated partners—not merely outsiders providing assistance. These lessons also carry meaning for work at College Futures Foundation. Our new Pipeline to Degree: High School into College initiative focuses on enhancing student expectations, preparations, and interventions so that more young people get to and through four-year college and earn bachelor’s degrees. One initiative strategy will support ways to ensure that students know how to plan, prepare, and pay for college. Through this strategy, the Foundation will look for opportunities to partner with CBOs and/or school districts to embed college readiness and financial aid guidance practices into the day-to-day school environment. As we begin this work, we will pursue clearer milestones related to important organizational practices, and elevate the importance of building college-going cultures as the fertile context for both college preparation and financial aid literacy and access. Similarly, our Community Philanthropy for Student Success initiative, which involves partnership with several California community foundations to create new, sustainable funding for needs-based scholarships, emphasizes the importance of expanding access to financial aid. We look forward to updating you on the progress, and lessons, from these initiatives. See also our earlier post regarding three case studies by WestEd related to our Expanding Access to Financial Aid work.